Gardaí will only be given access to the Workplace Relations Commission (WRC) and the Labour Court on condition that strong internal mechanisms for resolving disputes are first put in place within An Garda Síochána, the Cabinet has been told. Minister for Business and Enterprise Heather Humphreys warned the Government last week that without such provisions the State’s industrial relations machinery could be swamped by complaints regarding gardaí. Ms Humphreys told the Cabinet in a confidential memorandum that even under her proposals, the number of cases dealt with by the WRC and the Labour Court could, on a conservative estimate, increase by 10 per cent or by 1,500 additional claims when gardaí were permitted to avail of their services. The Minister last Thursday sought Cabinet approval to change industrial relations legislation to allow gardaí access to the WRC and the Labour Court. The Government had previously given a commitment to such developments as part of the resolution to the threatened strike by gardaí in November 2016, which the memorandum described as a “potentially very serious industrial relations dispute”. 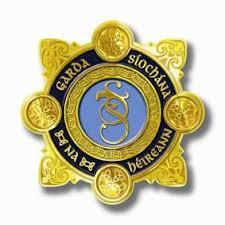 The Irish Times reported in September 2017 that the Cabinet had decided to rule out trade union status for Garda representative organisations. Ms Humphreys said in her memorandum to Cabinet last week that a number of amendments to the 1990 Industrial Relations Act would be required in order to provide the Garda associations with access to the WRC and the Labour Court. She said while it was intended to progress the proposed Bill through the Oireachtas as soon as possible, the legislation would be subject to a commencement order and would not come into effect unless and until agreed internal dispute resolution procedures were in place with An Garda Síochána. Minister for Justice Charlie Flanagan told the Cabinet, in his official observation on the proposed new legislation, that access to the State’s industrial relations machinery for the Garda representative bodies was “an essential step to avoid the type of industrial unrest that occurred in 2016, which was resolved only by the intervention of the Labour Court on an ad hoc basis”. He said the identification and introduction of internal Garda dispute mechanisms formed part of the remit of a working group, now taking place under the guidance of the WRC and with full engagement by all stakeholders. The memorandum stated that providing gardaí with access to the WRC and the Labour Court “would give rise to additional resource requirements for which there is no provision in the vote of the Department of Business, Enterprise and Innovation”. It suggested the move would also increase costs within the force.